Everyone has a sweet tooth. 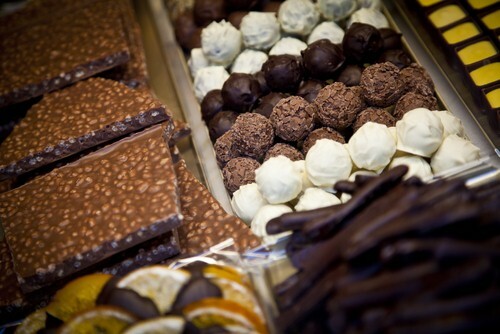 It’s nearly impossible to resist a piece of chocolate or some sugary confection. It turns out the inability to turn down a piece of candy may actually be a good thing for people’s health. A recent study performed by the American Academy of Neurology found that regularly eating chocolate reduces the chances of a stroke by 17 percent. Businesses can take advantage of a consumer’s sweet tooth and promote good health with promotional products. Every customer can take a small piece of candy whenever they come into an establishment or take part in an event. Putting a small logo on every wrapper might remind greedier clients that take a handful of sweet treats. Plus, if companies give out branded candy tins during holidays like Halloween and Valentine’s Day, consumers would have a constant reminder of a business that gives a little extra. Promo items like candy may be disposable, but they can go a long way toward creating a relationship with customers. A company would raise its profile by showing clients that it’s a little sweeter than others.